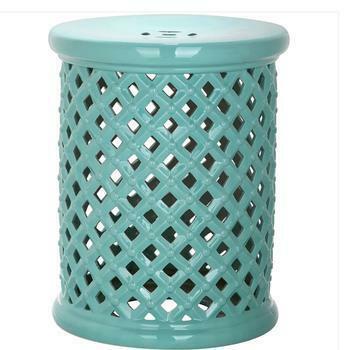 Using a garden stool in the shower sounds like a fairly innocent innovation, but it ended in death for Larry Stick, 61, of Adamstown, Pa. Now his widow is suing Safavieh, the manufacturer of the Isola garden stool. Lori Stick said she got the idea of using the stool as a shower chair from a program on the cable network HGTV. But when she returned home on Dec. 9, 2015, she found her husband “lying dead on the floor of the shower, surrounded by blood,” according to a Courthouse News Service report. The coroner's investigation found that Stick, who weighed 175 pounds, had apparently put his right knee on top of the stool while showering, causing the stool to collapse inward and puncturing his femoral artery with sharp ceramic shards. The suit alleges that Safavieh was negligent in the design of the stool. She said there was no instruction manual or safety warning included with the stool and denied that using it in the shower did not amount to an unintended use. The suit was filed in the Philadelphia County Court of Common Pleas. It seeks punitive damages for wrongful death and product liability.